I’ve often heard food used as metaphors for life well, this recent baking experience literally allowed me to embrace and enjoy eating, my errors! Yum! It started as a trip to the local produce market on Thursday – big produce delivery day! Organic raspberries on sale – Yay!!! 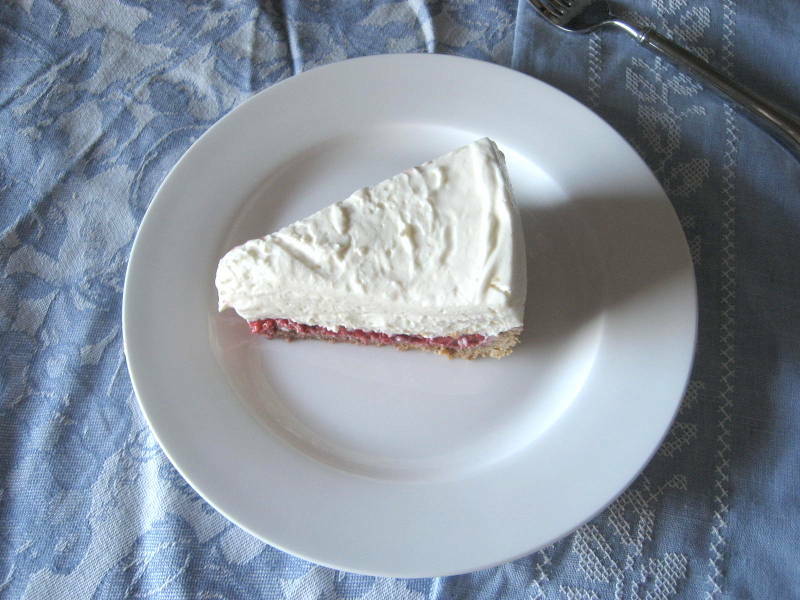 I located a bunch of different recipes that incorporated raspberries and combined a couple to create this recipe for a Greek yogurt-infused, no-bake raspberry cheesecake. 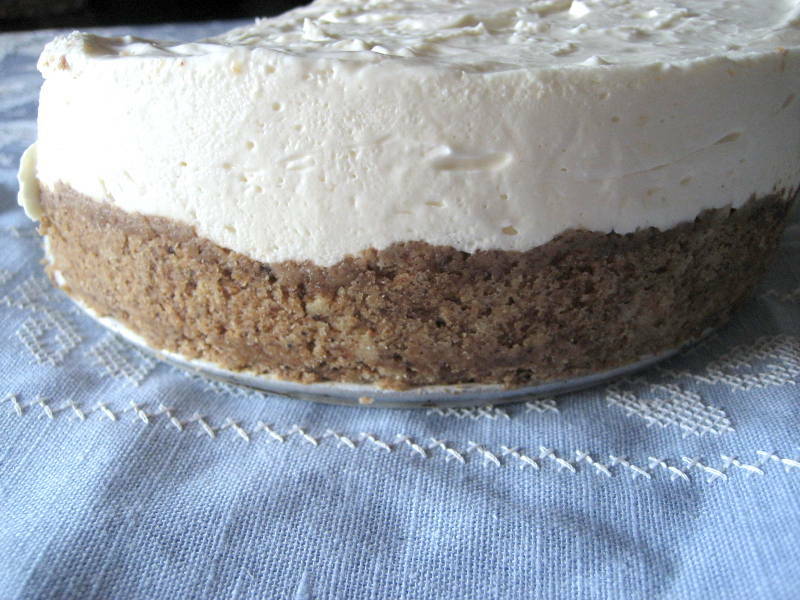 And since I never liked graham cracker crusts — I will often make my cheesecakes with no crust — I discovered a way to make a hearty, nut-flavored crust using finely ground pecans. 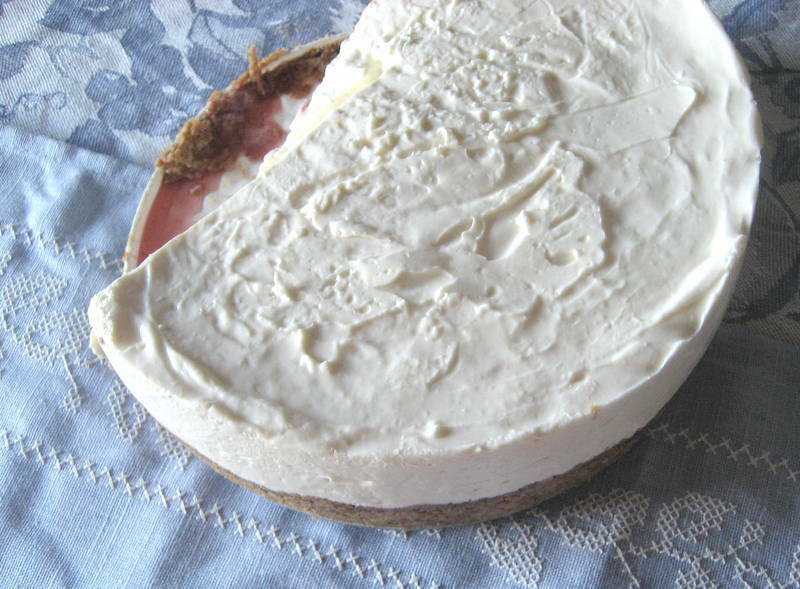 I intended to make a cake however the creamy consistency could easily categorize the result as a mousse or perhaps a smoother and creamier, cheesecake. 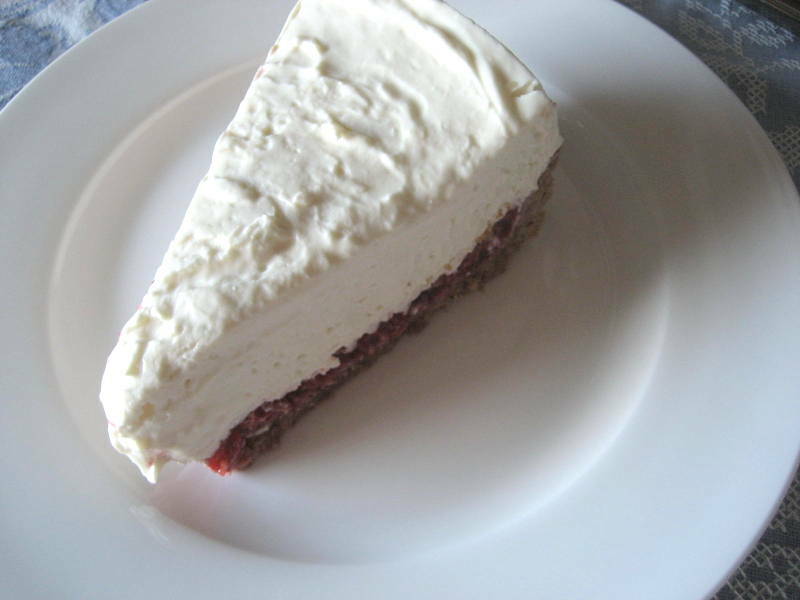 I made this recipe work in a number of ways: many of my raspberries were unusable explaining the low price but upon my inspection I managed to find just the right amount for this cake; the pecan crust recipe needed sugar and I happened to taste it before it was completed allowing me to make the needed adjustments. These trials and errors enriched this baking experience enhancing both my flexibility and self-compassion. And of course, it produced a delicious cake! Here’s the recipe and more enticing images. 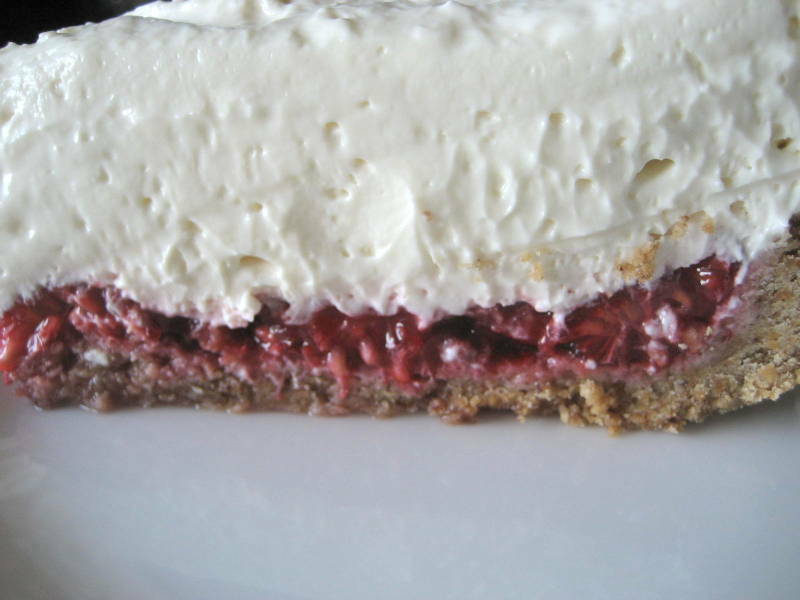 Process: add all ingredients except the whipped cream to a large bowl and mix very well; fold in the whipped cream; chill. Process: add all ingredients to a food processor and blend well; press the mixture into a spring-form pan that is wrapped in foil; bake for 20 minutes; allow to cool. Making freshly whipped cream: combine 8 ounces of cold cream, 1 tablespoon of confectioners’ sugar, 1 teaspoon of vanilla, and 1 teaspoon of cream of tarter and whip until stiff. 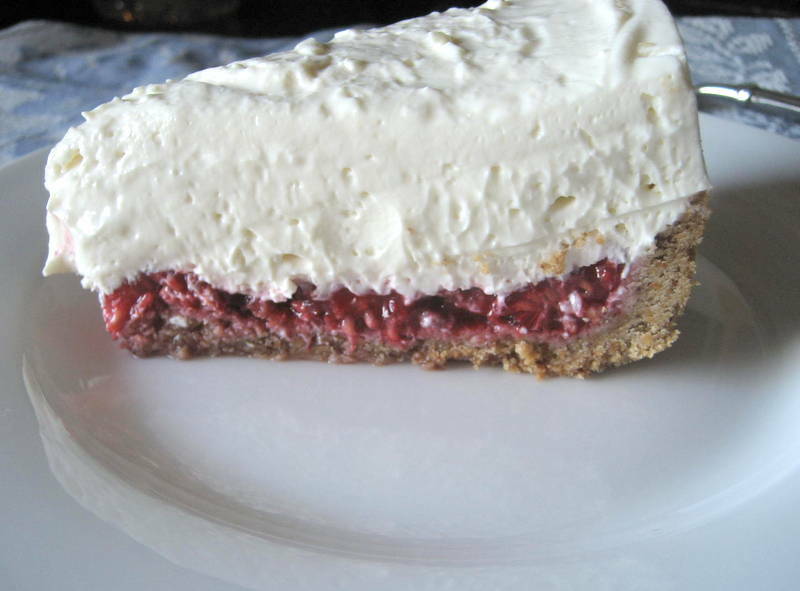 Place rinsed and dried raspberries on top of the baked and cooled pecan crust; pour the cream cheese filling over the raspberries; chill for 2-3 hours; and serve.